The main current meaning of artspeak is to do with the noises bad artists make about their bad art. But even fair artists can indulge, and thereby hold back their own development towards becoming better artists. This book is intended as a brief primer for those who wish to dare to be better, clearer, truer in their doings, and to be freer and more thorough in their understanding of the powerful relationship between art and the world. 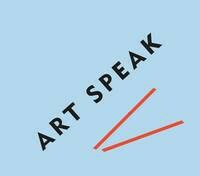 ART SPEAK is arranged as a lexicon, with some of its terms more familiar, some more specialised or technical, along with explorations of the abuses they can be put to, often with advice on how to fruitfully begin to think about such terms in relation to making and seeing art. ART SPEAK also avoids the all-too-easy targets of multi-syllabic pretension we have become familiar with, which in any case are enthusiastically dealt with on the internet. ART SPEAK is an attempt at a novel approach to the problem of failing to grasp the potential of art by indulging in weak surrogates for it, in word, thought and deed.